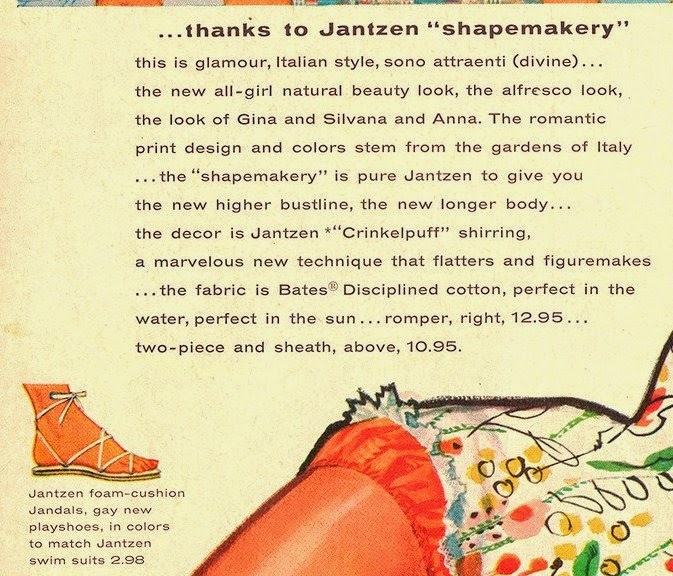 There are oodles of these Jantzen advertisements that were done by Pete Hawley. The three previous Coke advertisements by him, are not as plentiful as his drawings for other products. So I have gather up some of my favorites to share. 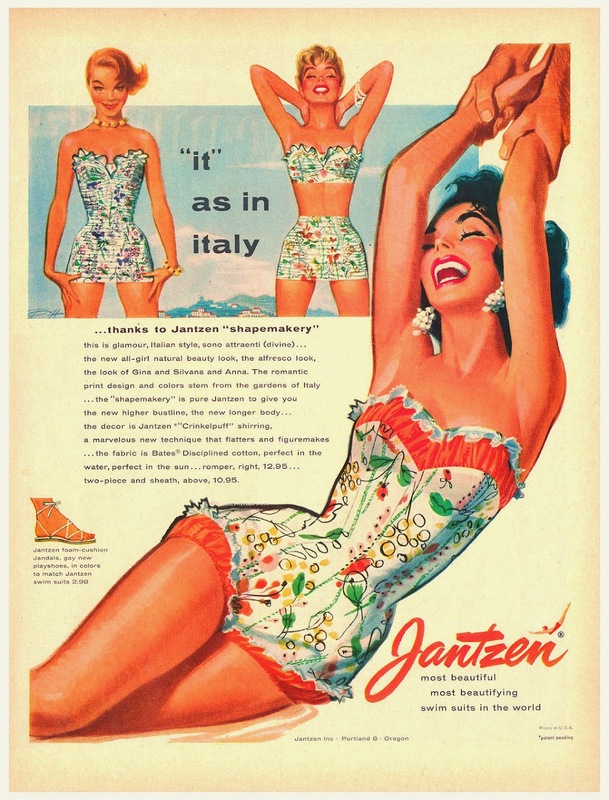 So today I have this stunning Jantzen swimsuit to show off. 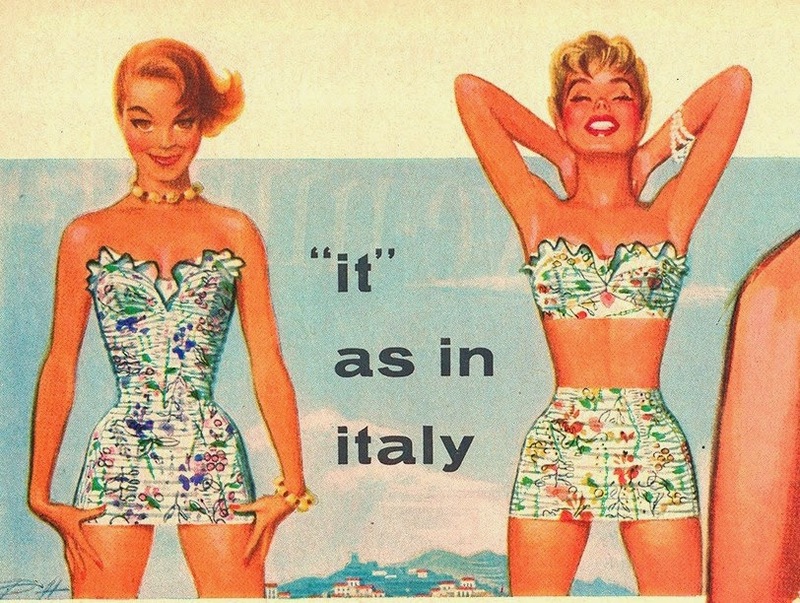 When swimsuits were meant to flatter a girl. And were made from cotton... with one heck of a inner lining to keep everything its place. Then there was even matchy sandals to be bought to go with your new Jantzen swimsuit! Jantzen... Most beautiful... Most beautifying... swim suits in the world!